Lock in a great price for Magnolia Villa – rated 8.4 by recent guests! 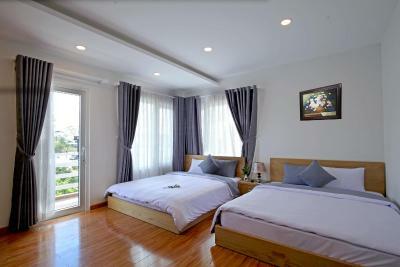 Featuring a garden, Magnolia Villa is located in Da Lat, a 7-minute walk from Xuan Huong Lake. Around 2,100 feet from Yersin Park Da Lat, the property is also a 9-minute walk away from Lam Vien Square and offers free WiFi. The property is 1.2 miles from Dalat Flower Gardens. All guest rooms in the hotel are equipped with a flat-screen TV. All rooms include a private bathroom. Guest rooms have a closet. With staff speaking English and Vietnamese, advice is available at the reception. Truc Lam Temple is 4.2 miles from Magnolia Villa, while Tuyen Lam Lake is 4.5 miles from the property. The nearest airport is Lien Khuong Airport, 18 miles from the property. When would you like to stay at Magnolia Villa? This double room has a balcony, private entrance and mountain view. House Rules Magnolia Villa takes special requests – add in the next step! All children under 12 years are charged VND 396819.55 per night for extra beds. 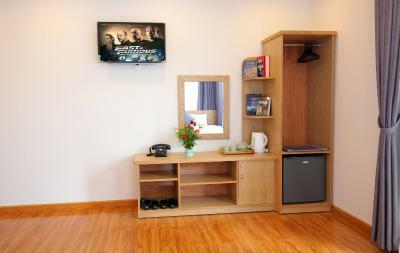 Any additional older children or adults are charged VND 396819.55 per night for extra beds. Magnolia Villa accepts these cards and reserves the right to temporarily hold an amount prior to arrival. Bad location, tons of garbage under the window from room with city view. Nice and clean room. Accepted credit card. It was a nice place, Very clean and cozy. All the staff were always smiling especially miss via the main receptionist who had a helpful coordination to rent a car for visiting waterfalls and lake and to drink amazing weasel coffee.